Charlie Duff works in E3’s Planning and Market Analysis practice areas. Recently he used E3’s RESOLVE model to inform integrated resource planning for a utility aiming to boost the role of renewables in its portfolio. He has used production simulation models to assess costs and benefits for CAISO expansion. Charlie also develops energy price forecasts to support asset valuation and power procurement. Charlie enjoys contributing to projects in the rapidly-changing energy industry that promote a cleaner environment. 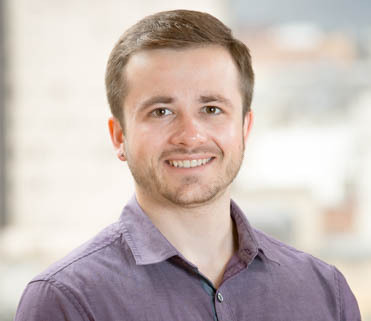 He focused on energy optimization and power systems modeling in his graduate studies and interned at the California Independent System Operator (CAISO). He is excited about the opportunity E3 affords to apply his skills in jurisdictions beyond California. Charlie enjoys hiking and camping. A native of Wisconsin, he appreciates that the Bay Area’s climate allows him to get outdoors throughout the year.